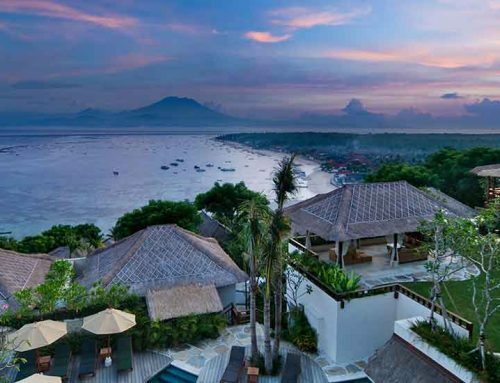 Plataran Menjangan Resort & Spa is located in the north-western part of the Bali Island. 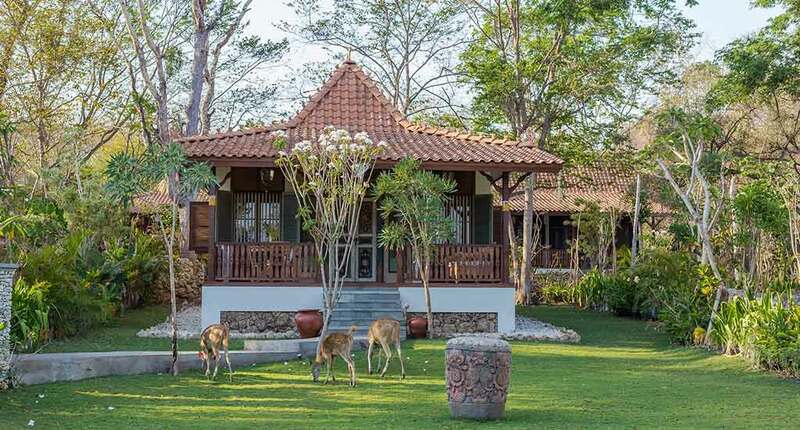 It’s a perfect place for nature admirers, being at a close proximity to the protected area of West Bali National Park. 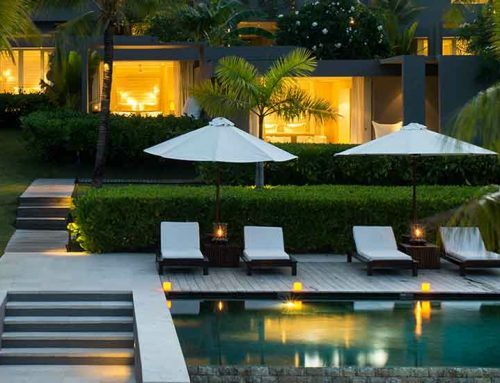 The resort is composed of the traditional Joglo villas, which gives a luxurious and private atmosphere to visitors. 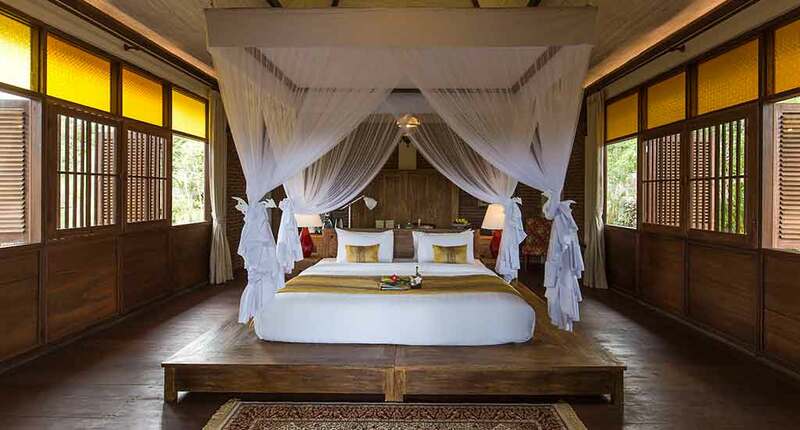 In terms of accommodation, the resort provides four types of rooms. 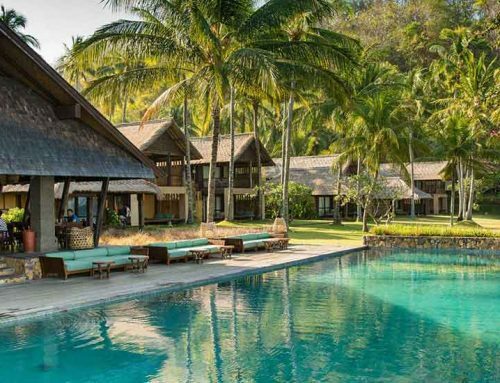 You can choose the One-Bedroom Forest Villa placed in the heart of nature or Luxury Ocean Villa – which combines the ocean and forest sights. 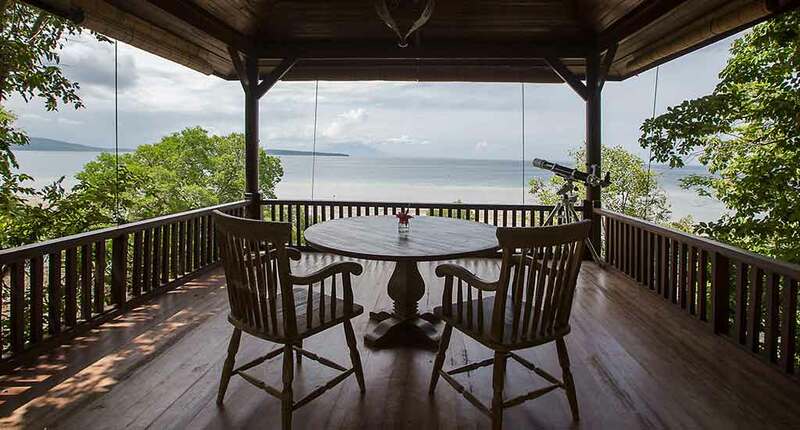 Also, you can opt for an Ocean Mangrove Villa – a luxury room as well as the landscape views from the terrace or for a Two-Bedroom Forest Villa, perfect for a big family or a group of friends. All rooms provide LCD TV, minibar, coffee & tea-making facilities, personal digital safe, bathroom amenities, bathrobe and hairdryer. The resort proposes the Wantilan Deck for a daily meal. It’s a terrace with a view to the heart of the Java Mountains. Ocean lovers will fall in love for sure with Wantilan Open Kitchen, which is placed in front of the ocean. For dinner time, we recommend you the Octagon Ocean Club. The great time is guaranteed. Do you love spa services? 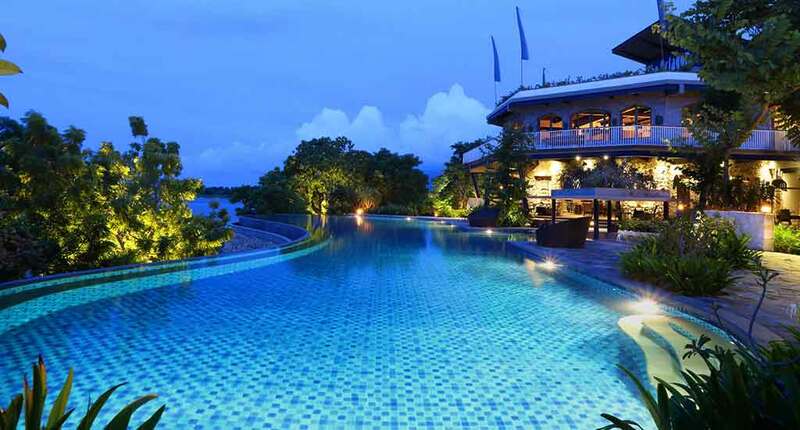 Because the Plataran Menjangan Resort has prepared for tourists a private and relaxing place, called Padma SPA. Here you have the opportunity to feel spoiled in a manorial way. Therapeutic treatments, as well as those with lotus petals, are meant to refresh your body energy. 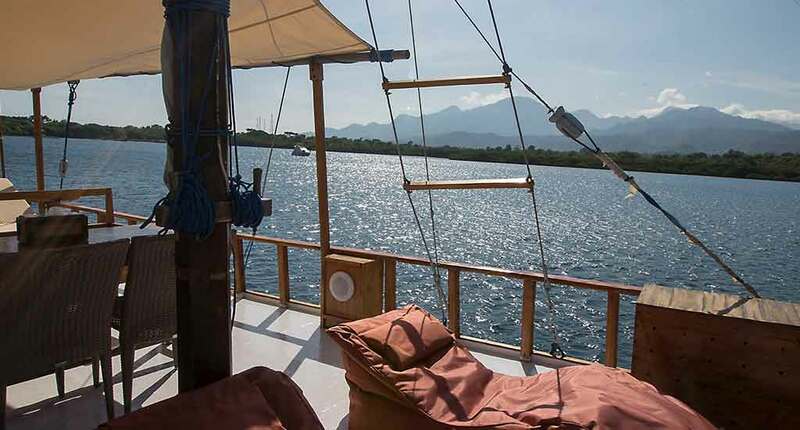 As a special recommendation we want to highlight the possibility to charter a wooden boat for daytrips to the best diving and snorcheling spots of the area. Just thirty minutes away you will find an amazing attraction named Pura Batu Kursi. This is a sacred temple built on the top of a mountain offering a spectacular view over the surroundings. In order to get in the heart of this attraction you will have to go a long way, but it’s worth every effort. The name “Kursi” comes from a giant stone that has the shape of a chair. Another attraction, just 6 minutes away from the Pura Batu Kursi temple, is the Pulaki Temple, being one of the biggest Hindu temples located in the west part of Bali. 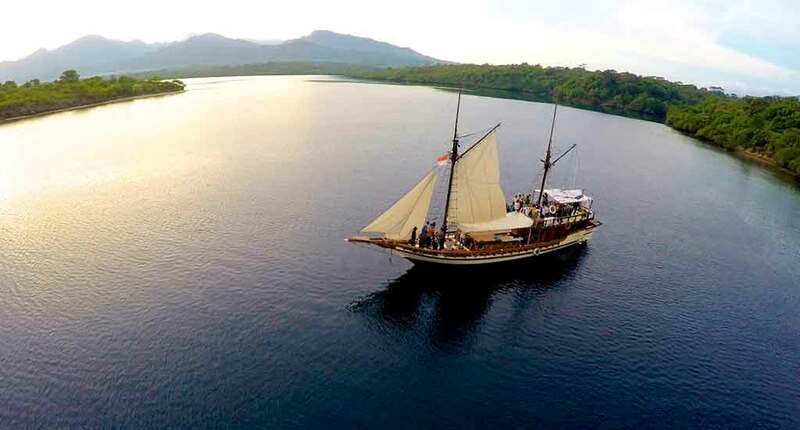 Of course, you shouldn’t miss to visit the West Bali National Park. It was founded in 1941 to protect the existing local fauna and flora. You can request a park guide in order to explore it. The landscape is magnificent, and you can watch monkeys, birds, and the famous Menjangan deer. 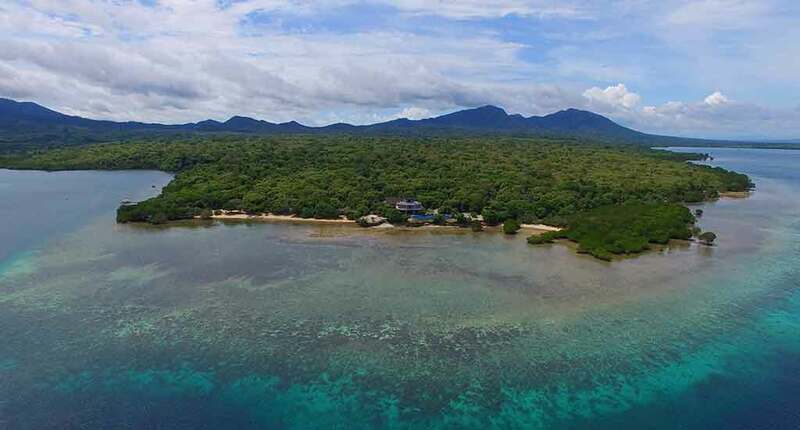 In direct neighbourhood of the resort you find the Menjangan resort including a dive center as an alternative to the boat trip described above. 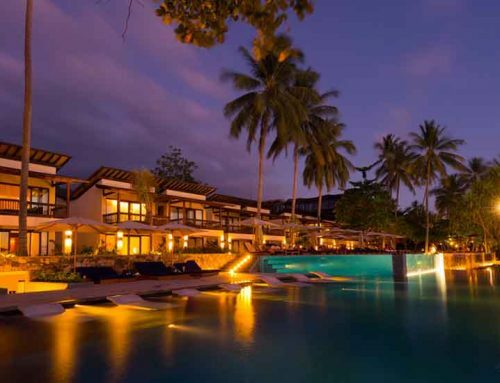 Plataran Menjangan Resort & SPA is an affordable and good choice for anyone who wants to feel spoiled. Whether you are an exhausted student or an adult who works almost non-stop, this beautiful break from life can only be beneficial to you.